Support of your favorite team with the officially licensed MLS New York City FC pet premium collar! Made in the USA! 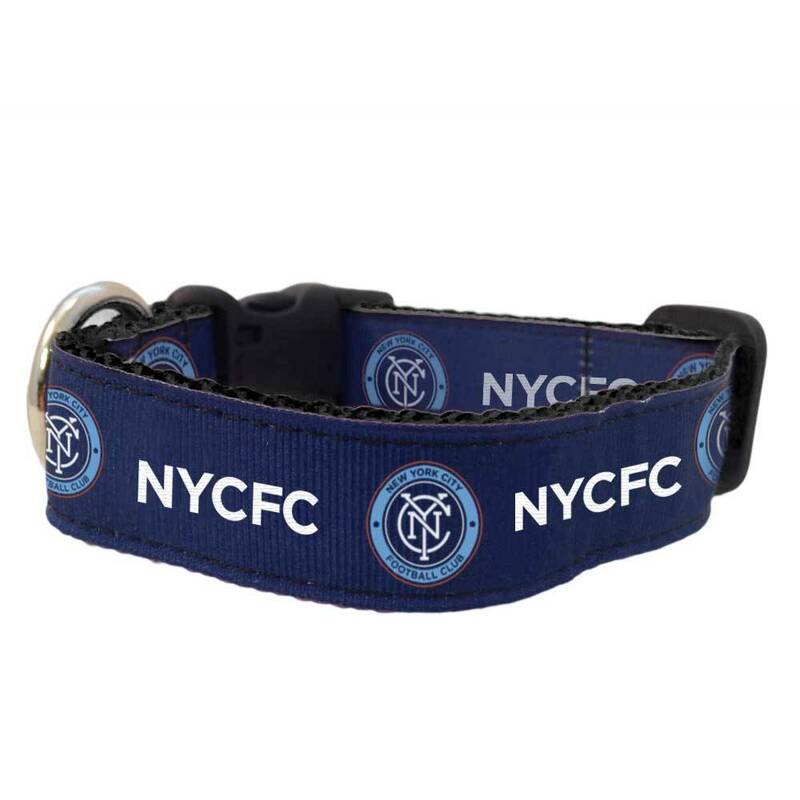 The officially licensed MLS New York City FC pet collar is designed with a double-stitched, grosgrain ribbon with team graphics that is sewn onto premium American-made webbing. This collar is fully adjustable and features a sturdy, quick-release buckle and a durable D-Ring.